Meet Amelia Gray! 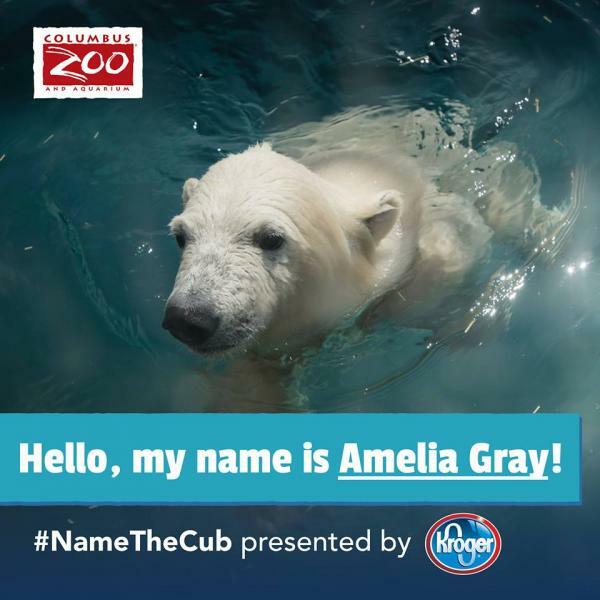 Thank you to everyone who voted to Name The Cub, presented by Kroger. We received almost 46,000 votes and Amelia Gray earned more than half the votes from nearly 70 countries! Amelia means "defender" and Gray is for the gray spot of fur on the left side of her neck. Her animal care team says Amelia is best friends with her mom and that her favorite thing to do is steal trout from Anana. Amelia Gray will alternate using the Polar Frontier habitat with Aurora's twins, as polar bear moms raise their young independently. Meet Nuniq and Neva! Aurora's twins' names were selected by Columbus Zoo and Aquarium and The Wilds staff through one of the many employee initiatives raising funds for conservation. 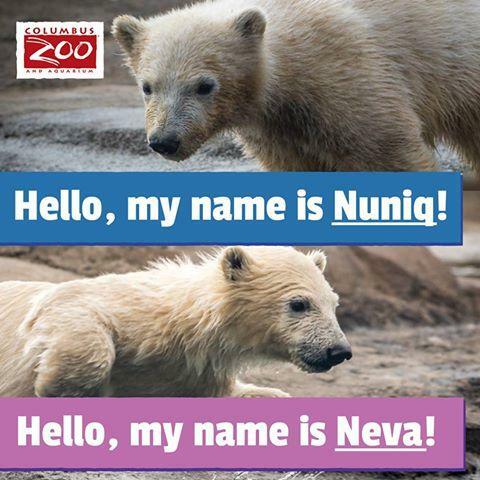 Neva (NEE-vah) means "white snow" and Nuniq (NEW-nick) is a derivative of Nanuq, in honor of the cubs' father. The twins' animal care team says that they are both becoming very bold and adventurous. Nuniq was a little shy at first but, with a little encouragement from his sister, he's now running around the yard, rolling in mulch and swimming. Neva is such a water baby and loves to belly flop into the pool. She is so close to catching a fish and her animal care team thinks she will get one soon! Nuniq and Neva will alternate using the Polar Frontier habitat with Anana's daughter, Amelia Gray, as polar bear moms raise their young independently.